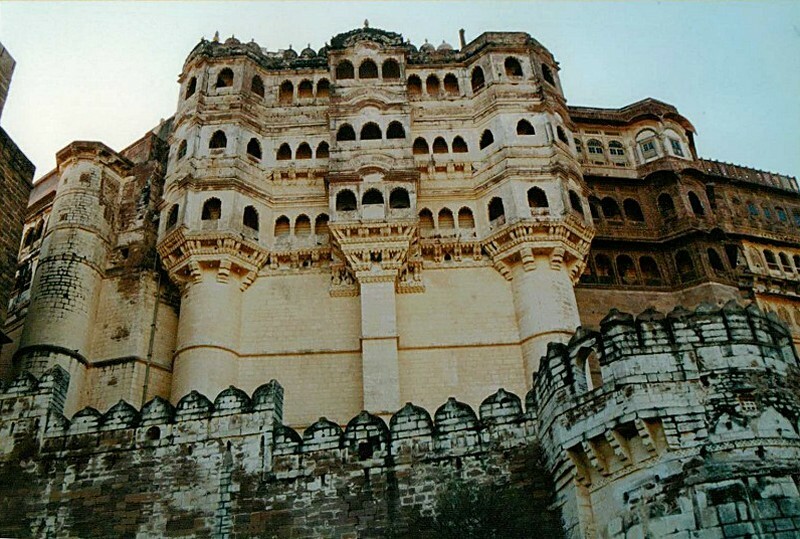 The Mehrangarh Fort ("Majestic Fort") is situated on a hilltop, enclosed by an imposing thick, 10 km long wall with seven gates. Soaring 122 m (400 ft) above the city of Jodhpur the fort dominates the surrounding plains and appears very majestic and impregnable. 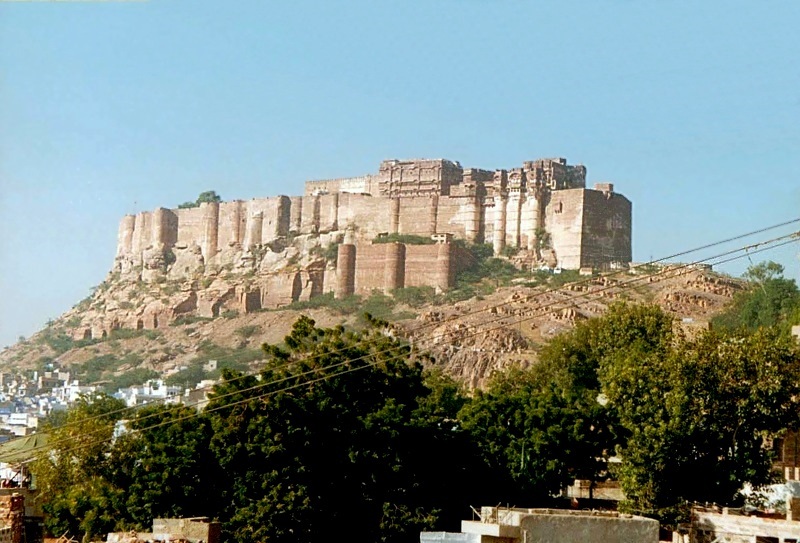 The Mehrangarh Fort was founded by Rao Jodha in 1459 when he shifted his capital from Mandore. 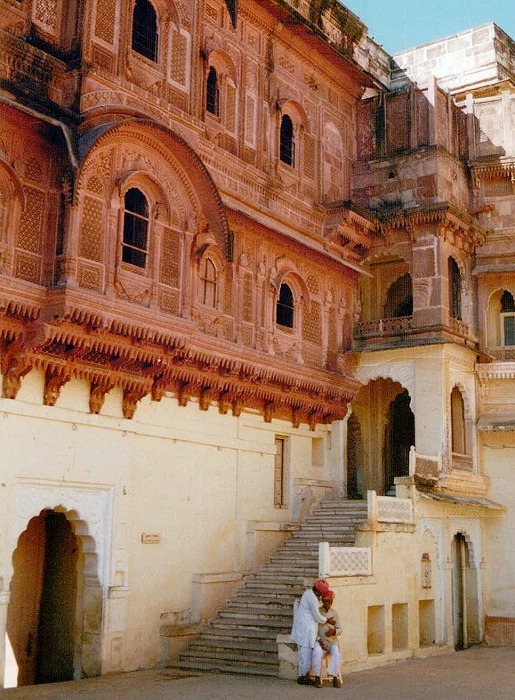 Within the fort, several brilliantly crafted and decorated palaces are found, which were constructed from 1459 onwards in an informal pattern over several centuries. 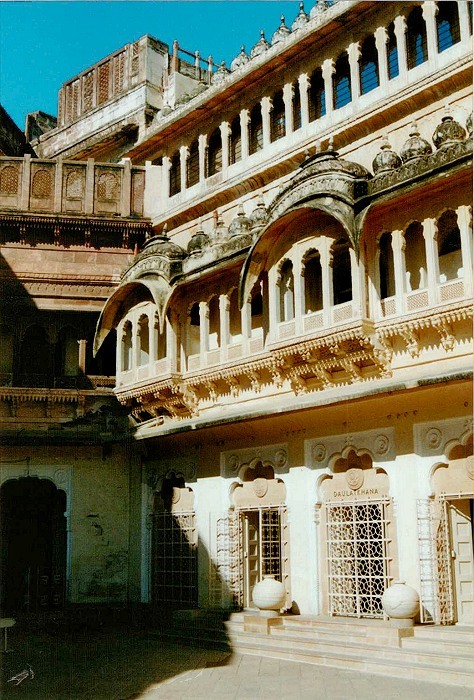 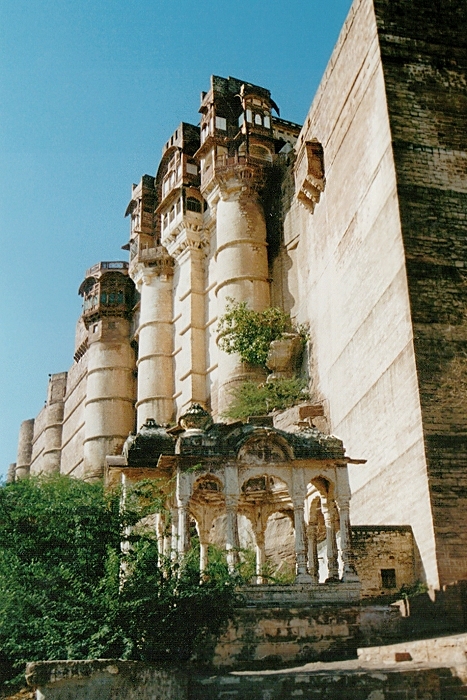 They are among the most beautiful and historic palaces in Rajasthan and have very special architectural features, such as narrow staircases leading to the royal residence, carved panels and porches, elaborately adorned walls and brilliant stained glass windows, that create vibrant mosaics on the floors with the play of light. 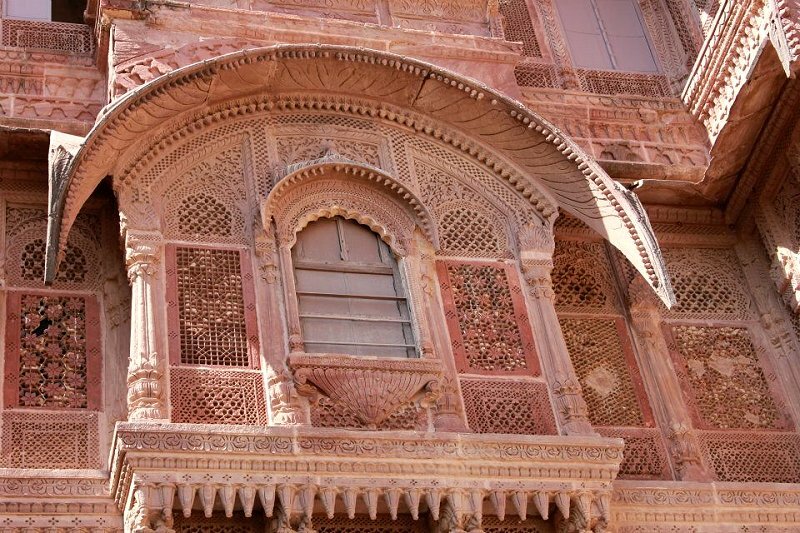 Most notable are Moti Mahal (Pearl Palace), Phool Mahal (Flower Palace), Sheesha Mahal (Mirror Palace), Sileh Khana, and Daulat Khana, where the treasures of the Mehrangarh museum can be found. 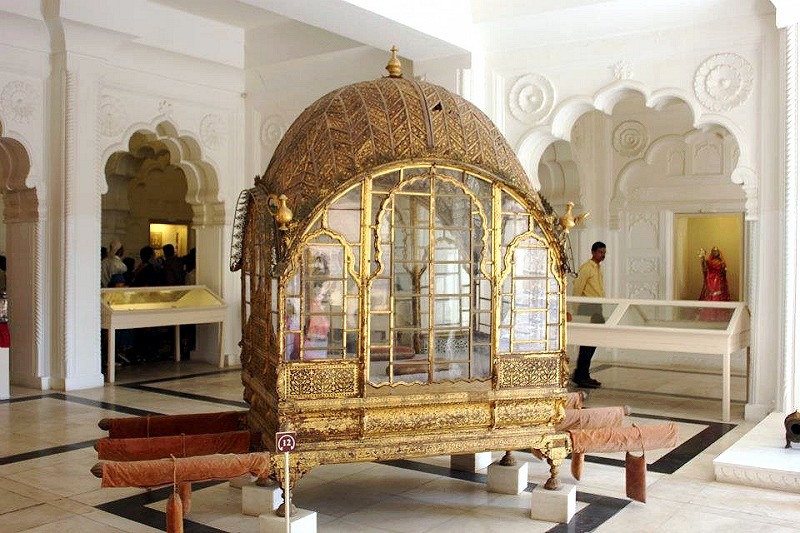 The fort museum comprises several palaces and houses an exquisite collection of palanquins, howdahs, royal cradles, miniatures, musical instruments, costumes, furniture as well as cannons on the fort's ramparts. 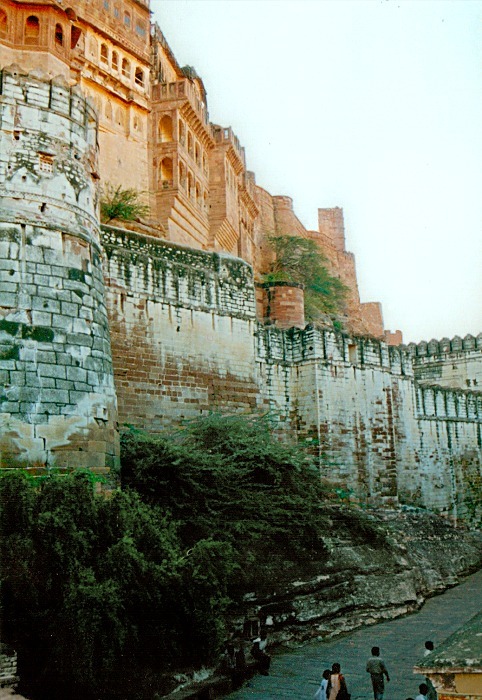 The fort is still in possession of the descendants of the royal family, who inhabited the palaces until they moved to the Umaid Bhavan Palace in 1943.